Adauzo Ijeoma Uba is originally from Nigeria though born in London. When she remembers growing up in Enugu, she recalls lots of good memories. She schooled in the Eastern part of Nigeria where she comes from before moving with her husband to live in Lagos. She is currently in London studying to have her doctorate in counselling and psychology. She says she is a staunch Christian but tries not to discriminate against others. As much as possible she lives by the teachings of her faith which is unconditional love for all, and forgiveness. Adauzo has recently published three books to help in her counselling work and in this interview, she talks about the books and what inspires her. Q: In the books, you tackle family relationships and self esteem issues, is there a reason for this? I admire good marriage and love to see people enjoy and have an enduring marriage. I am a family-oriented person, so I like to see things work well with father, mother, children, and other family members. Family relationship can be very challenging but some effort can make it work well. People’s self-esteem, have a lot to do with how they relate with others and their perception of themselves. A good self-esteem will help someone trust in their capacity to do something for themselves. Q: Where did you get your inspiration for your books? My inspiration is from different experiences. I started writing as a very young girl. While growing up, our parents we take us out every Sunday and at the end my father will insist we write an essay on our experiences or observations of the outing. At times, he will tell us to write an essay about a film we have watched. We never liked it but that was how I started writing. In my junior secondary school, I wrote a story book. My classmates passed it around and it got lost. I just enjoy writing. Different experiences in life inspired me to write the different books I have written. Q: Why did you decide to write these books at this time? These books were written different years. 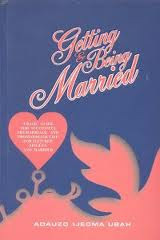 Getting and Being Married written and published in Nigeria 2007 after facing tough marriage challenges. I was inspired to write it and it saved my marriage. Grace in Pain was written in 2008 while mourning the death of my mum. The pain I was going through inspired me to write the book. Single Parenting: My Child and I written 2010 as part of my master’s dissertation. I had wanted to make a research on single parenting in my first degree but my supervisor didn’t approve of it. I equally have single parent and their children as friends and family and I feel something has to be put in writing to assist them. Over the years, I kept editing these books before they got published this year. I have other unpublished works. Q:You published three books at the same time, are they related or separate? I would say that Getting and being Married and Single Parenting: My Child and I are family and relationship books so they are related. Grace in Pain is for everyone. We all have challenges in life and always seek a way out of it. They are separate books with different messages. Q: Do tell us more about Getting and Being Married. The book is about preparing to have a good marriage and remaining happily in marriage. 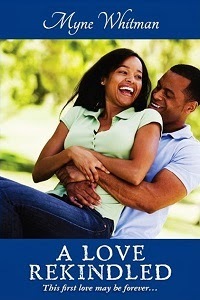 This book involves anything one would like to know about single and married relationship. For the single and engaged, it clarifies things on what men and women desire from each other, things involved in courtship, the meaning of the vows we make at the altar and what they should expect to experience as newly-weds. For the married, it is quite understandable that it is the toughest relationship to be in but there are ways of making unstable marriage work out. The book also deals on what people have done to stay in marriage based on interview of couples who have lived together for over 10years in marriage. In conclusion, many efforts are made to have a happy marriage but the Grace of God is what makes those effort work. Based on this some suggested prayers are included in the book. I equally use this book for my marriage and till date, each time I read it, it’s a new lesson. 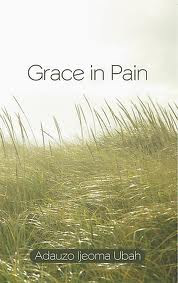 Grace in Pain is a book that encourages every one of us on whatever obstacle or difficult encounter we are going on in life. It uses people’s life experience (historic, biblical, and present), to encourage people with different challenges. Some people feel unloved or that there is no hope for them but this book has answers to their questions of life and soothes their heart. It is a book that will help people make out something tangible out of whatever challenges they are facing in life. A special chapter is for people who are yet to be blessed with the fruit of the womb. Each chapter ends with an efficacious prayer. Other chapters in the book include Cross to Crown, Persecution to Sainthood, Slave to King, Captivity to Freedom, Suffering to Success, Sorrow to Joy, Victim to Victory, Waiting on the Lord, Trails to Testimony, and Gain in Pain. It teaches that something good will always come out of every life challenge because gold passes through furnace to glitter. Single Parenting: My Child and I is self-help book for single parent and their children. 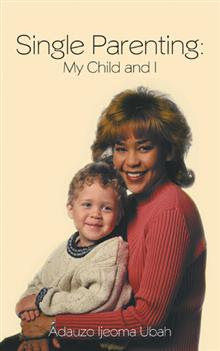 It talks about how to deal with difficulties of raising children alone and other challenges single parents encounter. It is a book that will help both parent and children from such homes on how to handle things together and live happily. The books talk about parent-child bonding which is very crucial in raising a family. The last chapter encourages both parent and child with the words of God. It will improve the well-being of every single parent and their child. Q: Did you have to do a lot of research to write these books since they are non-fiction? All the books have some part of research work and references are made to that. My books are based on research, psychology which is my educational background, life experience (mine and others), and Christianity. All these are put together in my books. I am never in a hurry to publish. I give people very close to me to read and make suggestions which I find helpful. Q: What was your publishing journey like, from writing these books to having them published? Writing is one thing, being published is another. My first books Getting and Being Married and Praying Right were published in Nigeria and the marketing was very tough for me. Friends and family in diaspora wanted the books but I couldn’t so I decided to have my books published internationally. This is to ensure everyone gets it and the message can reach out to greater population. I look forward to having a traditional publisher because the cost can be challenging though it’s a worthy investment. I write and type all my books and of course it is not easy one bit. If I can write and type my books, and a publisher can publish and market them, that will be great. Every author prays for that though I am grateful to be among the few that write and get published. Well, I will soon be on holiday and start writing something different. I want to write a story that has been on my head for some years now. I will not be in a hurry to publish it but will start writing by the second quarter of the year. I have to take my time because it will be the first novel I will be writing and publishing. The story is quite fascinating. I hope people will enjoy it when it finally comes out but not anytime soon. Q: What do you do in addition to writing? I work, study, and counsel single and married. Q: Please tell us where we can find the book for purchase. By clicking the links under the book covers, the book can be obtained from Amazon.com. They are also available from the publishers Author House Uk, Barnes & Nobles, and other online retail bookstores worldwide. It is easier and cheaper for those in Nigeria to get it as E-book. It is yet to be printed in Nigeria but will have that done soon. Thanks Ada for granting us this great interview. Thanks very much Myne for granting me an interview.